When the health of a tooth is compromised due to extensive decay, a large existing filling that has begun to develop decay around it, or a deep crack, it may be in danger of needing extraction. In most cases, that’s the treatment of last resort (except for wisdom teeth). At Prosthodontics of New York, we’ll usually “crown” the tooth by placing a dental prosthesis on the tooth called a porcelain crown. 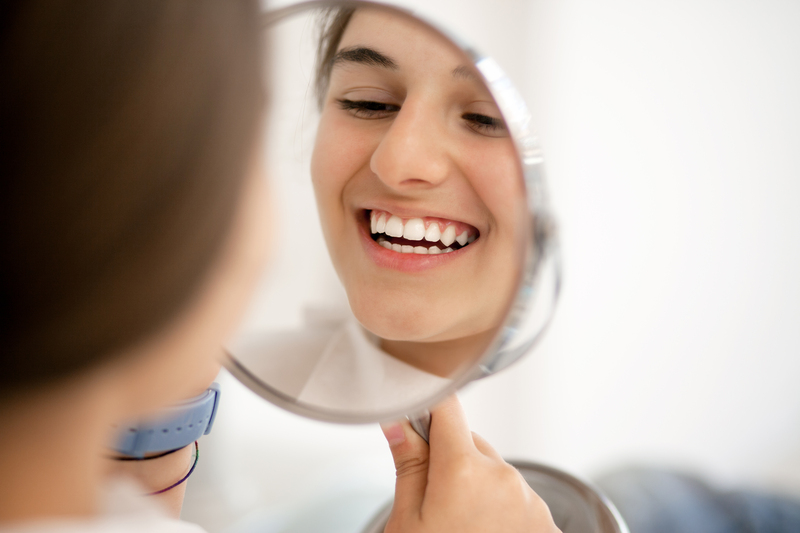 A porcelain crown provides strength and support that the natural tooth no longer has, improving the function while saving the underlying tooth. Because we like to stay at the forefront of dental technology, and because we know our patients’ time is valuable, we create and place crowns in just a single visit with our CEREC 3D design and milling system. You may have heard your uncle in the Bronx talk about his “caps.” That was the term formerly used for a dental crown; these were usually made of gold. The term aptly describes what a crown is — a prosthesis that fits completely over the top of a tooth, covering it all the way down to the gum line. Kind of like a cap…or a crown. Porcelain crowns are milled to match the original shape of the natural tooth before it was prepared for the crown. The color is precisely matched to the adjacent teeth. So that the tooth winds up being the same size with the crown on it, the underlying damaged tooth needs to be shaved down on all sides and the top. This creates room for the crown. Once a tooth has a crown, you can use it normally, without worrying about its strength. To determine if you would need a dental crown and if you a candidate for same-day-crowns, you will need to have a consultation with either Dr. Sirota or Dr. Roberts at our New York City office. CEREC is an acronym that stands for Chairside Economical Restoration of Esthetic Ceramics. CEREC is a 3D system for creating dental prostheses such as crowns, inlays/onlays, and veneers in our Manhattan offices, rather than having them created by a separate dental lab. The CEREC system features advanced 3D imaging and design software that allows Dr. Roberts and Dr. Sirota to design your prosthesis right on the screen in our offices in three dimensions. Once designed, the information is sent to the CEREC milling system, which then mills the crown, veneers, or inlay/onlay in our offices from a block of dental porcelain, usually in just 30 minutes or so. We can then immediately place the prosthesis. Placing a crown at other practices involve a two-appointment process. The first appointment prepares the tooth for the crown and involves taking impressions to send off to the dental lab to fabricate the crown. This can take two weeks, and you would need to wear a temporary crown during the interim. When the crown is finished and delivered, you will returns for a second appointment and the crown is placed. At Prosthodontics of New York, we can diagnose, prepare the tooth, design the crown, mill it, and place it all in just a single appointment. That’s the beauty of our CEREC system. The first step in the same day crown process is to remove any decay or damaged material from the tooth. Then the tooth is prepared for the crown by shaving down a portion of the tooth on all sides and on the top. This makes room for the crown to fit over the tooth and still occupy the same space as the original natural tooth. Once this preparation is complete, we take a series of photographs and other measurements to provide the data for our CEREC system. Dr. Roberts or Dr. Sirota then design your crown right in the system, allowing you to see what it will look like. The design information/specs are sent to the CEREC milling station, which takes the data and mills a block of solid dental porcelain to the specs, creating your custom crown. 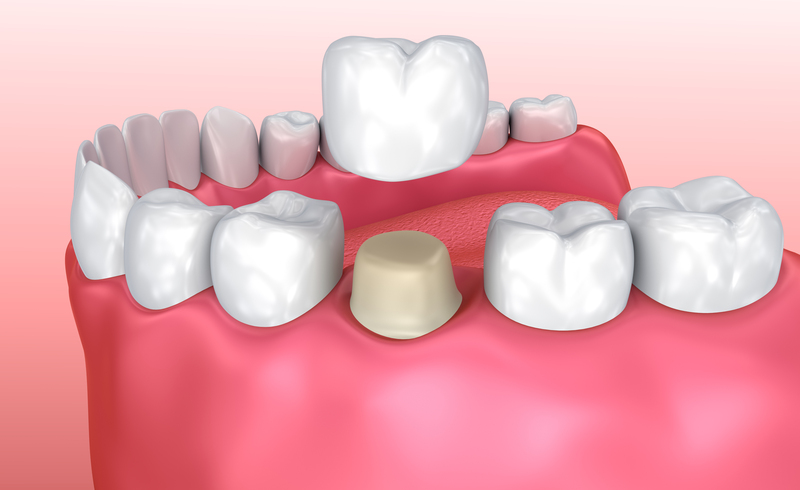 Once the CEREC crown is complete, we place the crown onto your tooth with a temporary bonding material so that we can test the bite and see if you are satisfied with the fit. Once we agree everything is right, we cement the crown permanently onto your tooth. We provide local anesthetic when we are preparing your tooth, so you feel nothing during the procedure. Convenience — What’s the value of your time? Our CEREC crowns can be designed, milled, and placed all in a single appointment. You don’t have to waste time with two appointments, along with waiting up to two weeks for a dental lab to create your crown. No temporary crowns — While waiting for the lab to create your crown, patients have to wear a temporary crown that isn’t custom fit. Can preserve more of your natural tooth — The precision of the CEREC system, which creates a 3D model of your tooth, often allows us to remove less of the natural tooth to make room for the CEREC crown. No dental impressions — OK, who likes the goop and gagging reflexes that go with dental impressions? Exactly no one! The CEREC system’s digital tools allow Dr. Roberts and Dr. Sirota to measure and then design your crown right in the system software. No need to take impressions! Just as strong — CEREC crowns are milled from the same dental-grade porcelain used by dental labs. Their quality, strength, and durability are equal to those made in a dental lab. You’re involved — Because we design your crown in the office using the system’s digital technology, you can be involved and see what your crown will look like. Depending on the amount of damage that had to be removed from the tooth, you may have some residual soreness the following day, but there isn’t any “recovery” necessary. When you leave our offices, you can eat whatever you want and show off your beautiful new crowned tooth. HOW LONG WILL MY PORCELAIN CROWN LAST? Porcelain crowns can last for decades. The determining factor with the lifespan of a crown is the health of the underlying tooth. If you practice good home hygiene and see us for your twice-yearly exams and professional cleanings, your crown should last for a long time, possibly the rest of your life. If you would like same-day-crowns, our CEREC system may be perfect for you! Call Prosthodontics of New York at 212.758.9690 to schedule a consultation to see if you’re a candidate.